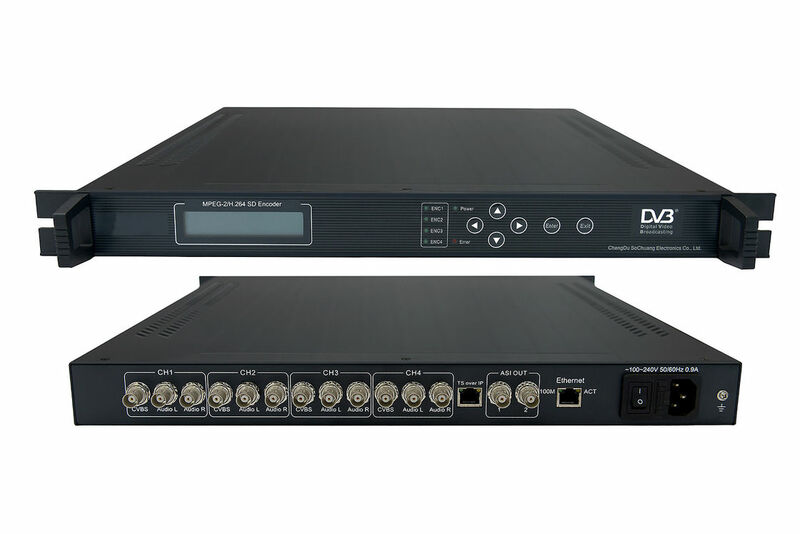 FL-1302 SD 4IN1 MPEG-2/H.264 Encoder has 4 channels analog composite video and 4 pairs of unbalanced audio (mono or stereo) input, supporting MPEG-2/H.264 video and MPEG-1 audio encoding, to generate DVB transport stream (TS/ASI) and SPTS (TS over IP) output. It uses Magnum chipset and can support low bitrate. Besides, it suits 1U rack and provides front panel LCD operation and NMS (Network Management Software) controlling. Its high-integrated and cost-effective design makes it widely used in varieties of digital distribution systems such as cable TV digital head-end, satellite digital TV broadcasting and terrestrial digital TV, etc.